Bonjour. We just returned from a fabulous trip to Bordeaux and Madrid. While traveling with a baby is certainly an adjustment (you must recalibrate expectations! ), we had a fun time eating and drinking, and toting our toddler around Europe. 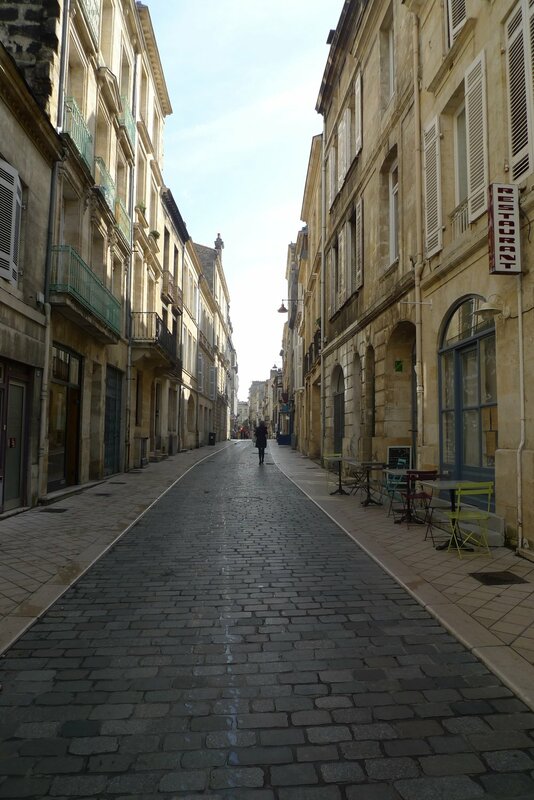 We rented an AirBnB with my family in a sleepy village 15 minutes outside of Bordeaux called Carignan de Bordeaux. We stayed in an authentic French limestone home and ate croissants et un beaucoup de pastries every morning. Rose all day was a must as well. Our primary activities included meandering around the ancient city and awing over the romantic architecture, churches, and of, course food and wine. We had a delicious meal at Brasserie Bordelaise (review coming soon), we slurped down oysters at Le Petit Commerce, and had plenty to drink, including an absinthe drink at La Comtesse. One afternoon, we took a private wine tour with our guide Luigi. 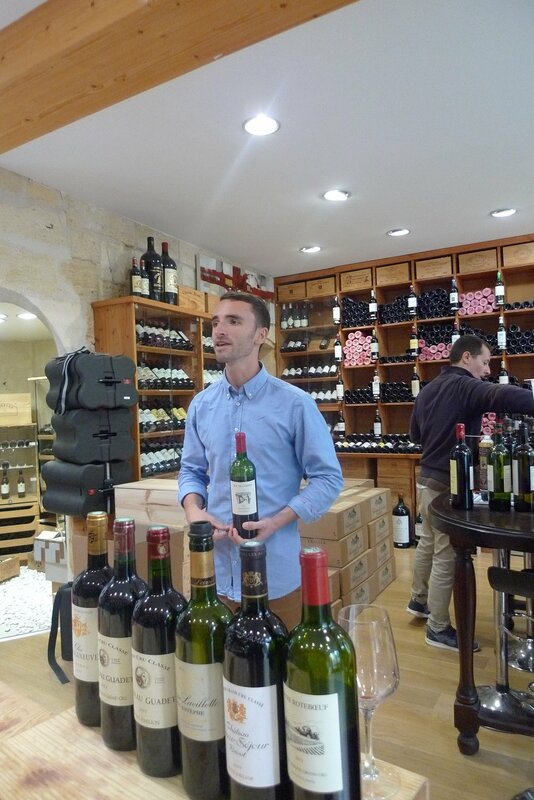 He gave us a walking tour of the renowned village of Saint-Emilion and we had tastings upon tastings in a charming wine shop called Le Cellier de Saint Emilion (where we met the owner and fell in love with his own wine, and of course bought several bottles), and at a chateaux, Villa Maurine. On our last evening, we hired a chef duo Quentin and his girl friend who created a four-course meal al fresco for us by the pool. 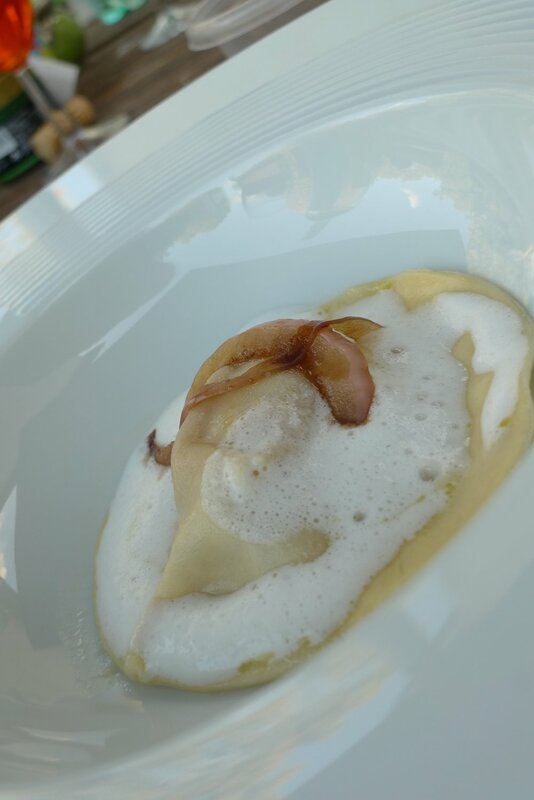 We had bruschettas, foie gras ravioli, seared Magret duck breast, and a strawberry tiramisu with homemade limoncello. Needles to say, it was incredible, and I highly recommend splurging on this treat if it's available during your next holiday. We used the site La Belle Assiette to identify and hire the chefs. We even had an opportunity to hand-select our meal and printed individual menus were dropped off the evening prior. So very thoughtful. It's hard being back from such a lavish and decadent trip (even avec bebe), but I'm having fun settling back into my new life in Charlestown and looking forward to our next adventures ahead.